When you’re driving down the road and the red light changes or the car in front of you stops suddenly then you’ll need your brakes. But what happens when you’re brakes don’t stop the car like they should? It puts you and your family in danger and it’s one of the worst things that can happen to a vehicle while driving down the road. Luckily, there are things that usually happen before the brakes on your car fails completely. And if your car has any of these symptoms then it’s best to get brake repairs in Downriver Michigan right away rather than risking it. If you suspect your brakes may be giving you trouble or they don’t quite feel right then it’s best to get them checked. There are places in Downriver Michigan that can inspect and repair your brakes so you don’t need to take the chance with your safety. 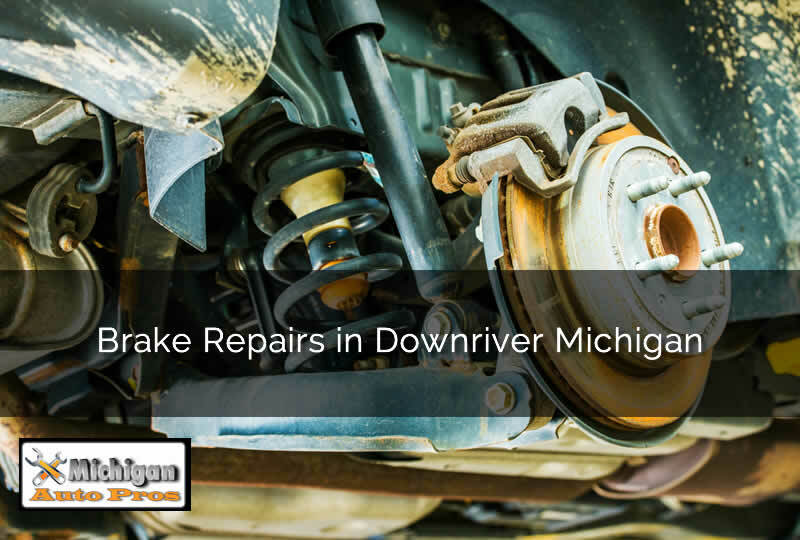 Brake repairs in Downriver Michigan are a must when it comes to your safety. I’ll go over some of the warning signs you’ll experience usually when your brakes are beginning to fail. Does Your Brakes Squeak When You’re Using Them? Your brakes rely on brake pads to stop the wheels from turning which in turn stops the car. The friction and heat that these brake pads build up is very high. They are made of material which can take the heat and friction and give you a smooth stopping action. But the brake pads will start to wear and eventually fail. When a brake pad starts to wear to the point where it’s no longer safe there is a metal clip that comes in contact with the brake rotor of the vehicle. When this metal touches the rotor it gives off a distinct squeal which can usually be heard inside the car even if the windows are up. If your car is giving off a squeal every time you press the brakes it’s likely that your brake pads are worn and need to be replaced. It’s important that you get brake repairs in Downriver Michigan done as soon as possible once your brakes start to squeal. If not, you could do more damage to the braking system due to the pad being completely gone and the rotor starts to get damaged. What Happens If You Continually Drive With Squealing Brakes? If your car is squealing from brake pad failure then you’re likely to start hearing grinding noises coming from the brakes if they are not repaired. 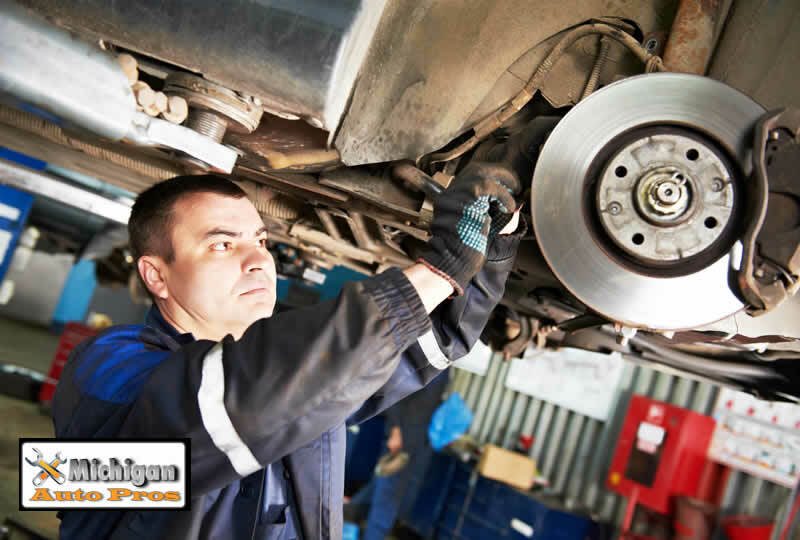 The grinding you’ll hear will usually come from metal from the brake rotor and metal from the worn brake pad. This can be dangerous because the car will not stop like it should and can cause excessive heat in the brake system which may blow tires, start a fire, etc.. It can cause your brakes to also lock up without any warning. It’s a very dangerous situation when brakes are grinding like this. Do You Need to Pump Your Brakes in Order to Have a Full Pedal? Sometimes we get into a habit that causes us to not recognize things that are going wrong. If your brakes are starting to go bad usually people will pump the brakes to get a full pedal to stop them. Soon it will become habit and you won’t even realize you’re pumping the brakes. This usually means you’re brakes are low in fluid or it could mean parts of your brake system are failing. It’s best to get them checked and repaired if this is happening to you. Driving without any brakes puts not only you but others on the road at risk of injury or death. It’s a very serious problem that should be fixed as soon as possible. If you’re experiencing brake problems in your car then it’s best to get brake repairs in Downriver Michigan to keep you and your family safe while in your vehicle. If your car shows any sign of bad brakes or they sound like metal grinding or a high pitched squealing sound then it’s best not to take chances. Get brake repairs in Downriver Michigan today and stay safe out there.